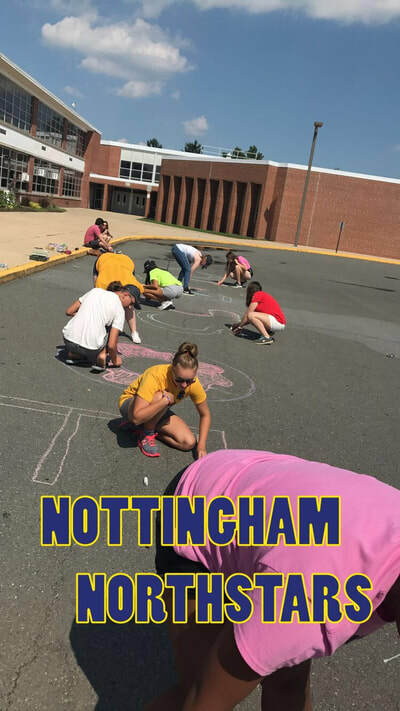 Rachel Pierce and Anthony Smolka drew ‘school spirit’ with a twist: a ghost with Nottingham apparel. 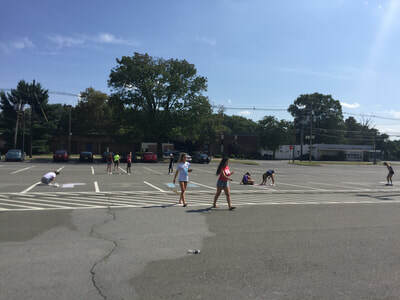 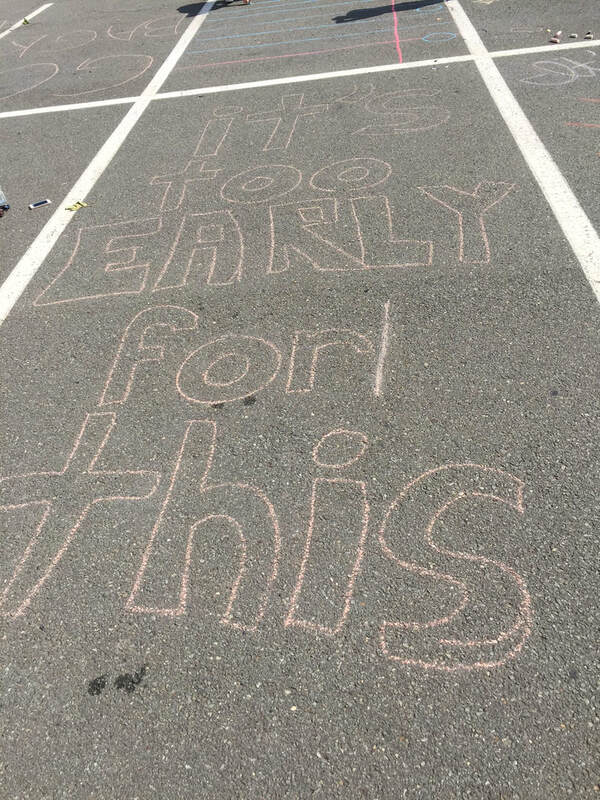 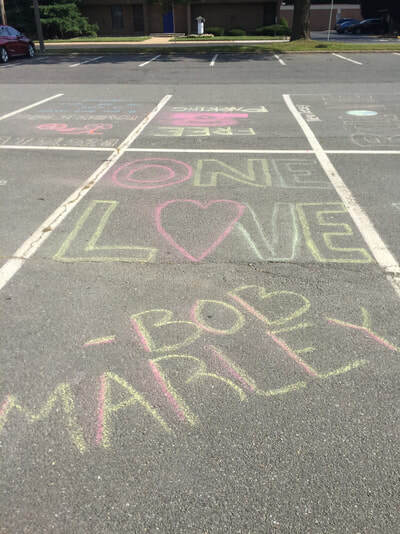 On September 4th, over 20 seniors gathered in Nottingham’s senior parking lot to decorate it in chalk. Decorating the parking lot started as a silly idea that soon turned into a reality. Nottingham students blasted the ‘lot party’ on social media, spreading the word to other seniors. 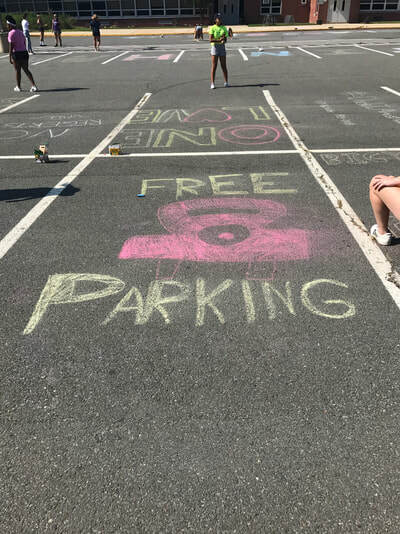 Even several who couldn’t attend still posted it on their Snapchat or Instagram just to help the cause. 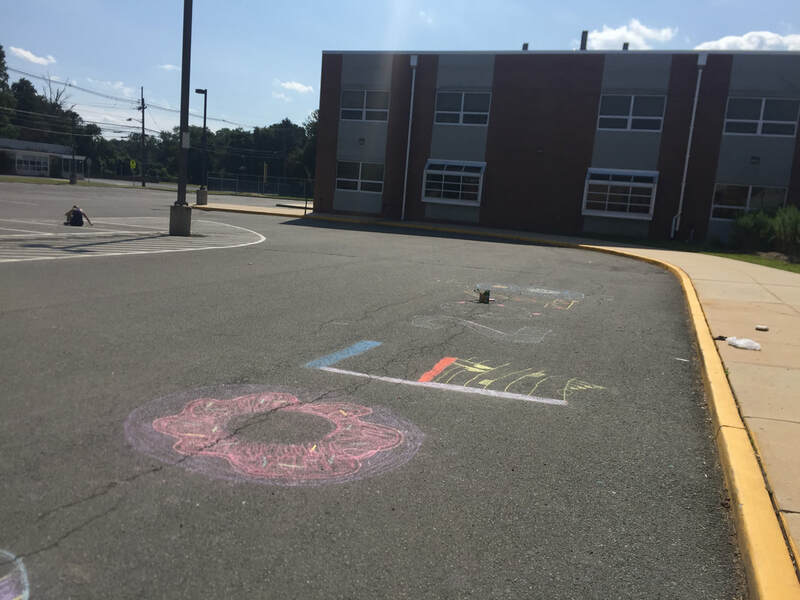 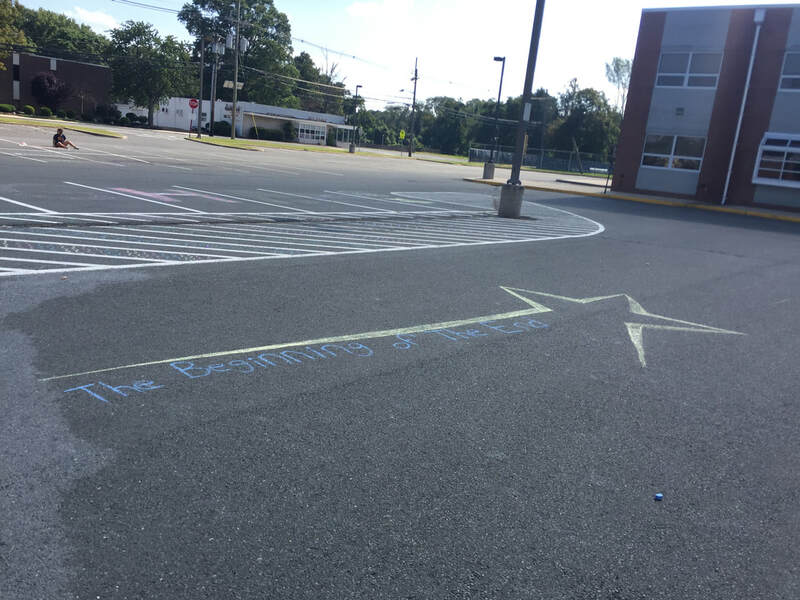 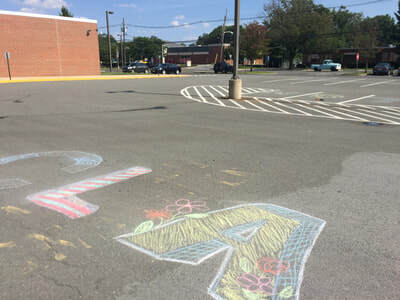 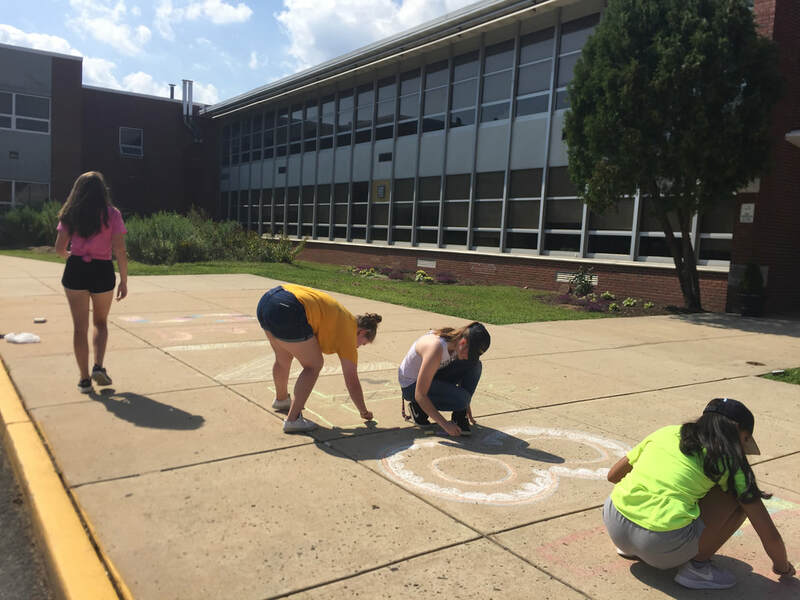 Although the drawings were washed away by the rain just a few days after the parking lot party, the colorful pictures stayed intact long enough to welcome students on the first day of school. A huge “Class of 2018” was written so it could be seen from the second floor of the school. 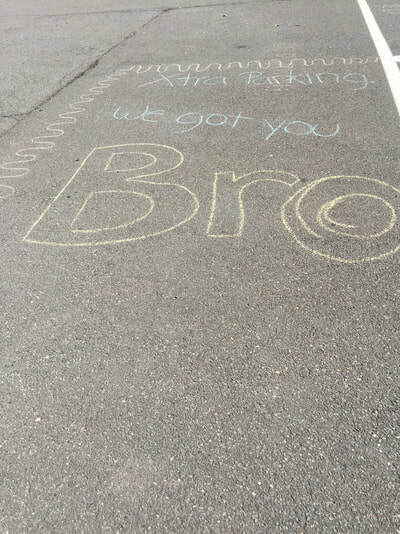 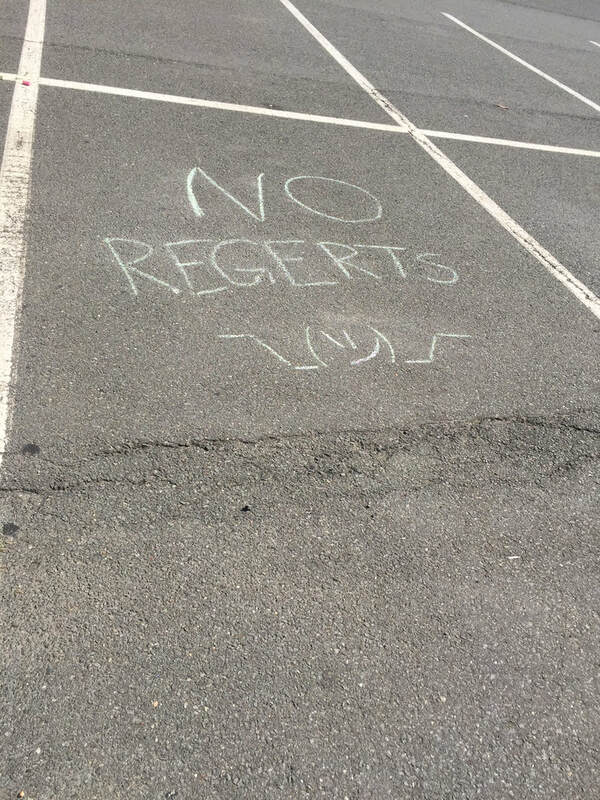 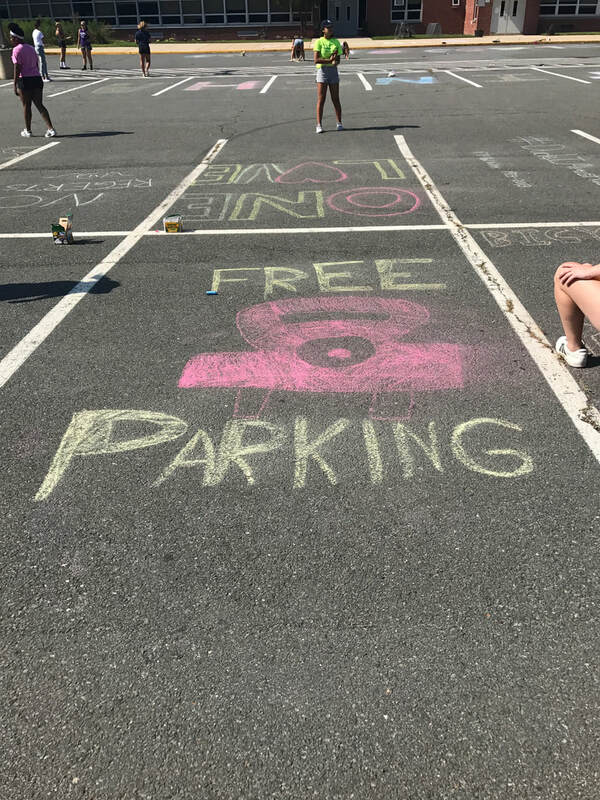 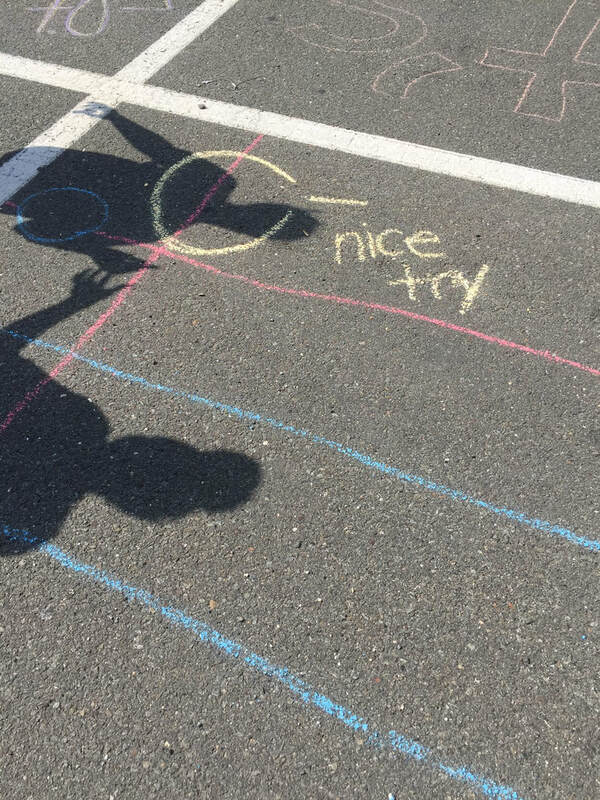 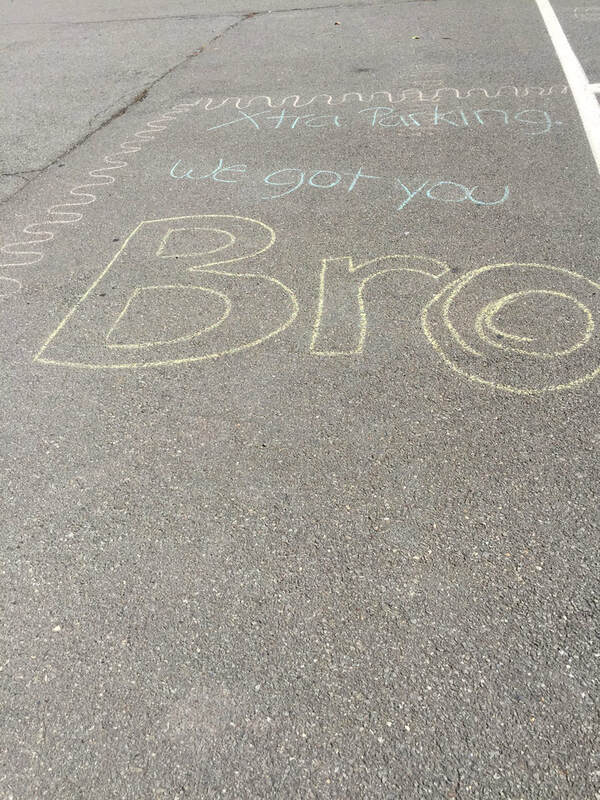 The students also decorated individual parking spots with funny puns or motivational messages. 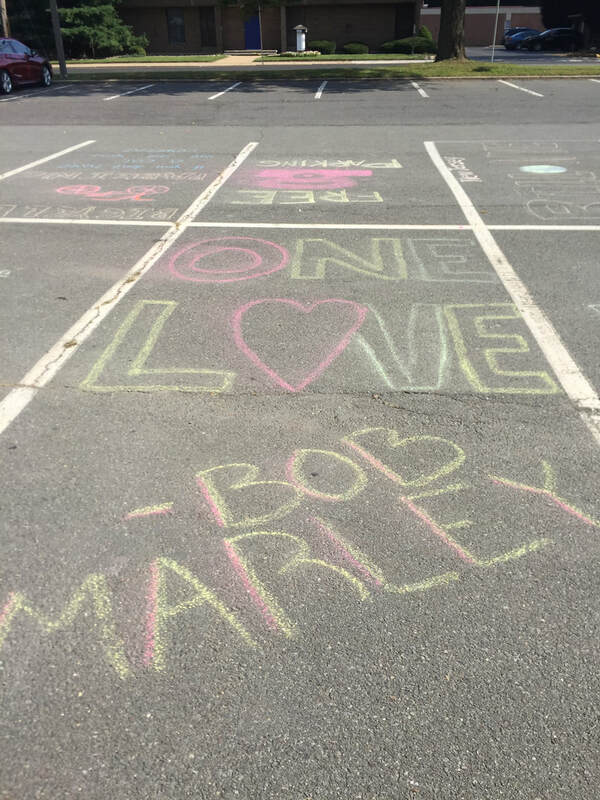 Adrianna Sferra quoted Bob Marley’s iconic "One Love" in one spot; Magee referenced Drake’s album "If You’re Reading This, It’s Too Late," but changed it to "If You’re Reading This, I’m Late." These were just a few of the several parking spots that were decorated with cute and silly messages. 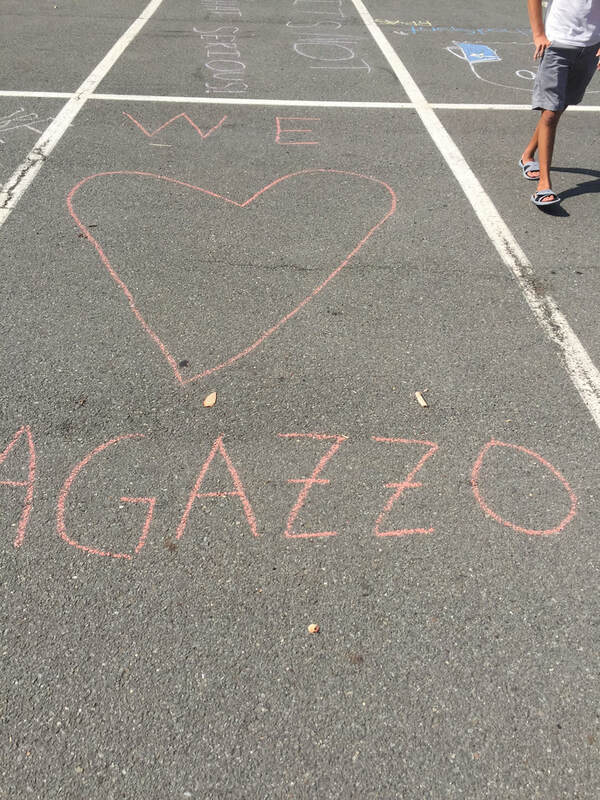 One even read "We Love Ragazzo," celebrating Nottingham’s principal.